From the tiny graveyard to the top of the observation tower, the history and scenery of Fort Barton define romanticism in a modern day light. With ties to the Native Americans, a humorous encounter during the Revolutionary War, and eighty-three acres of forest, rivers and greenery, it’s the perfect backdrop for a Saturday afternoon and escape to another time. 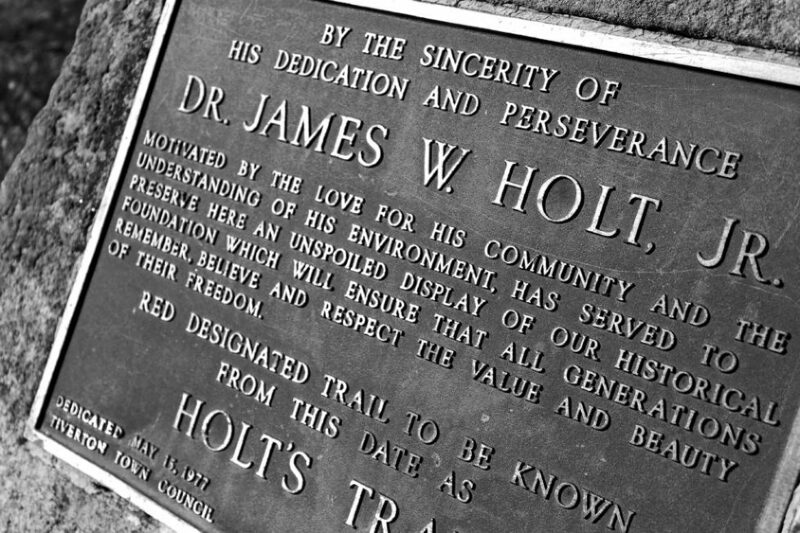 Enter the park and you come across a clearing marked by the observation tower and a bronze plaque honoring James Holt, Jr., one of the fort’s most recent and dedicated caretakers. 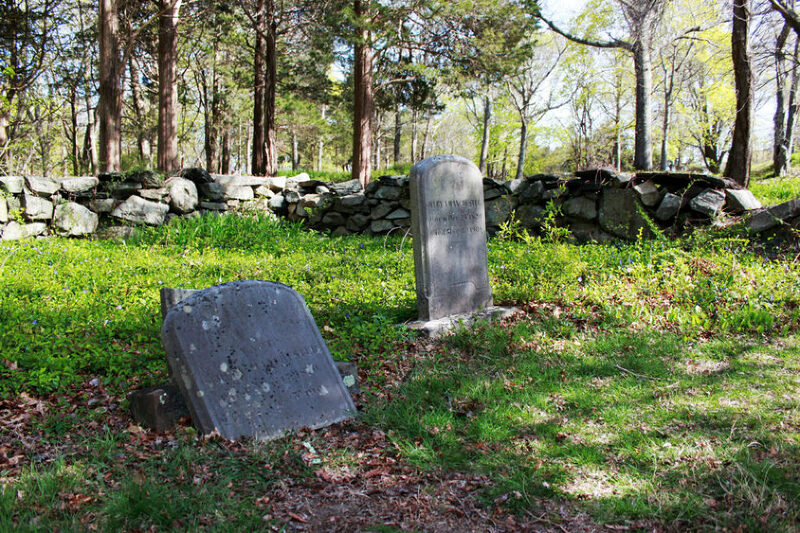 Not too far away at the bottom of a hill, you see a tiny graveyard. With just one stone left standing, the rest have been bent or blanketed by time. Turn back to the clearing and you spot a dirt trail form at the edge of the trees. Step by step, you descend down a flight of stairs made of wood and earth, the first of many you’ll encounter along the way. At the bottom of the stairs, there’s a trickling stream, passable by way of a footbridge. Cross it and you find another path, leading you deeper into the forest. For several miles, it winds, taking you over small hills and little creeks. Then with the road noise a distant memory, and the cleanest air filling your lungs as birds dart overhead, you start to wonder if this is what it was like all those years ago. 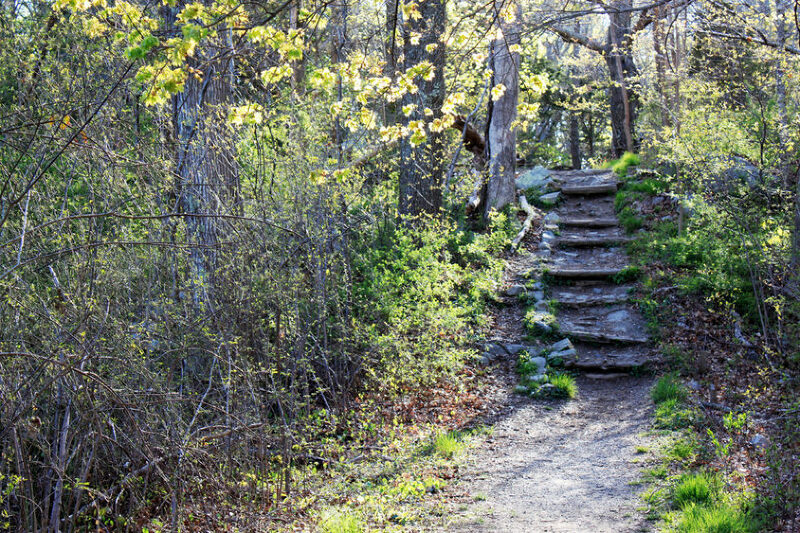 In truth, and per the Tiverton Open Space and Land Preservation Commission, the soil and terrain suggest the Pocasset Indians used Fort Barton Woods for hunting and gathering until King Philip’s War of 1675. During the American Revolution, Lieutenant Colonel William Barton launched a night-time raid against the British from Fort Barton. In doing so, he captured British commander General Prescott, and the reports of Prescott being led out in his nightclothes were such a morale booster for the American army, Continental Congress named the redoubt after him. Today, Fort Barton is home to not only memories of the past but inklings of the future. With it’s intertwining trails, abundance of footbridges and small brooks, it’s the perfect place for families and people of all ages to come and enjoy the day. 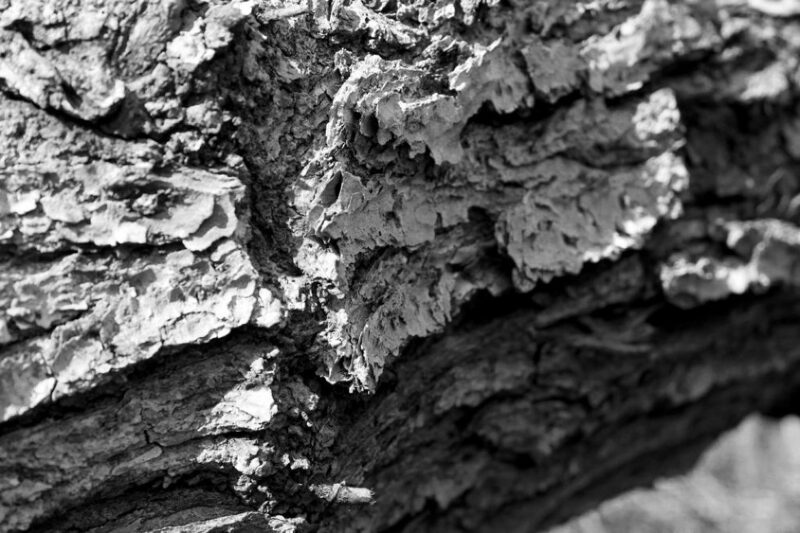 For more information about Fort Barton, please visit their website at: http://www.tiverton.ri.gov/documents/recreation/FtB_CulturalHistory_Nature.pdf and http://www.tiverton.ri.gov/documents/recreation/FortBartonWoodsMap.pdf. To purchase photos from the collection seen here, visit: http://blackwhitebrown.pixieset.com/fortbarton/.